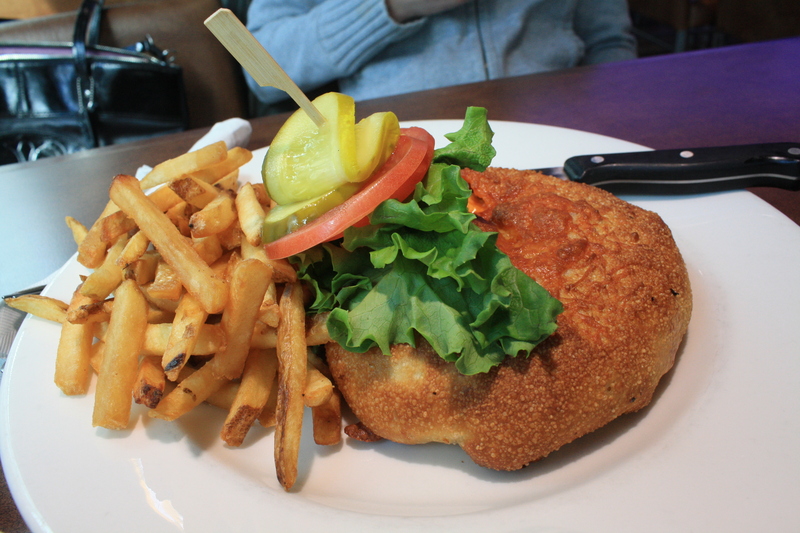 On April 1st, 2013, Boston Pizza announced the launch of their newest product: The Pizzaburger. 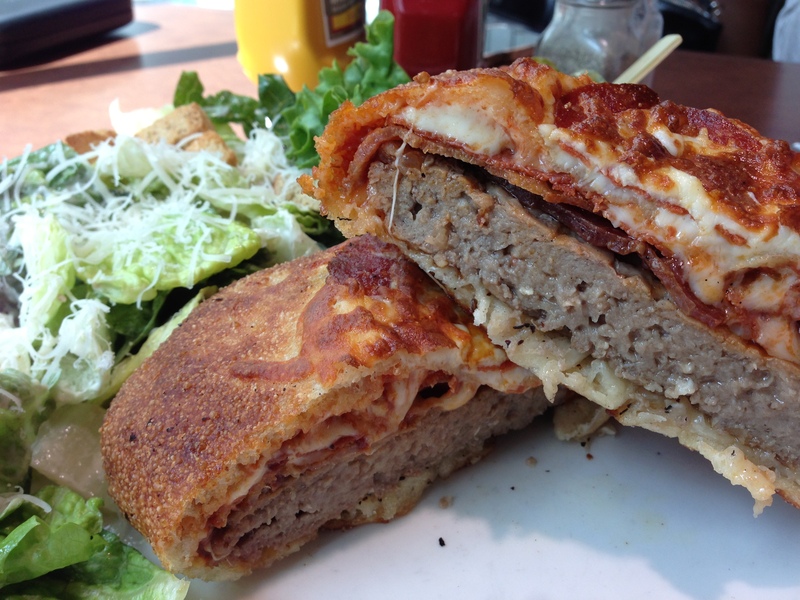 In case you missed my last post (where you can even win 1 of 2 $50 Boston Pizza Gift Cards), the Pizzaburger is a half-pound prime rib beef burger wrapped in hand-pressed pizza dough and baked to order. It comes in 2 different ways, either with pepperoni and bacon or a five-cheese version. When I learned Boston Pizza was going to launch the Pizzaburger, I was a bit skeptical, but also very curious to try one. 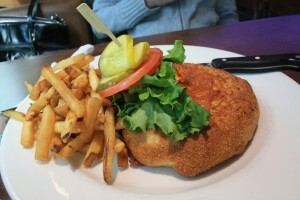 I agreed to help spread the word with Boston Pizza as long as I could try one and write an honest review about it on launch day. 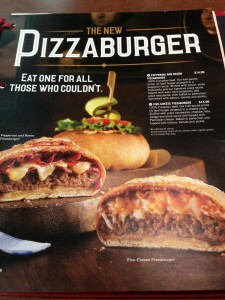 So, once the official announcement was made, I went to my local Boston Pizza armed with a $50 gift card and ordered both versions of the Pizzaburger to share with my girlfriend. If I was going to write a review, I felt it was important to try it both ways. The Pizzaburger is listed on the menu for $14.99, which includes your choice of side. Though the menu only shows fries, caesar salad or house salad, our waiter advised us that you could actually get a much wider variety of sides (some with an additional cost). This is $4 more than their regular burger, but considering you get a burger wrapped in pizza instead of just a bun, the cost seems justified. I opted for the caesar salad (if given the choice between this and fries I am taking a caesar salad 100% of the time considering most places charge an extra $2.50 or so for the upgraded side). After waiting about 10 minutes, our Pizzaburgers arrived to the table. It was very hard not to dive right in immediately, but I had to get some content for the blog so did a mini photo shoot. After snapping about 20 or so pictures, it was time to eat! I started with the five-cheese Pizzaburger because I love pepperoni and figured save the best for last! 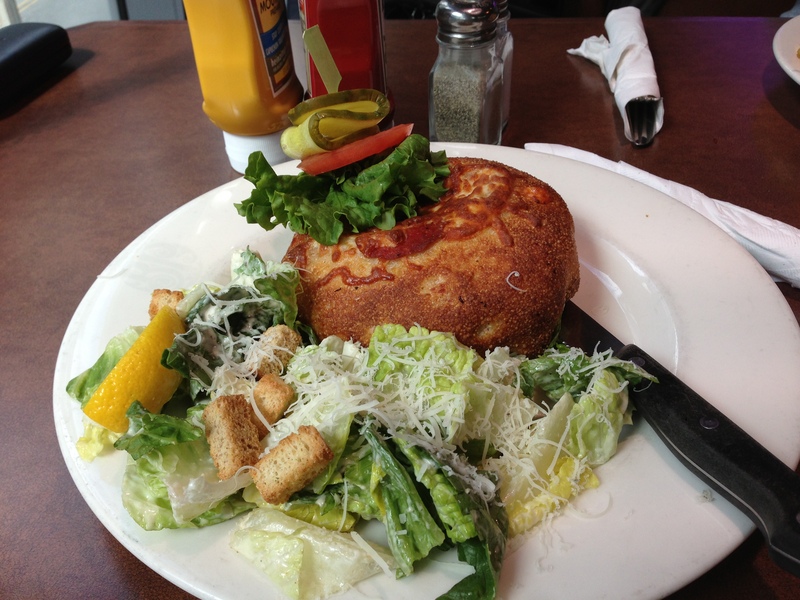 The five-cheese that make up the five-cheese Pizzaburger are mozzarella, cheddar, feta, asiago and parmesan. I thought this one was going to be overly cheesy, but it was actually the perfect amount of cheese! You could taste the different flavours from each of the cheeses on every bite! My only complaint would be that this one was slightly greasier than the other and there was some oil on the plate where it had been resting. Up next was the pepperoni & bacon Pizzaburger, and I am glad I saved this one for last! I prefer meat on my pizza and never order a pizza without pepperoni so this was exactly what I wanted. The bacon on the inside was also the nice kind of bacon (like what you would buy at the grocery store, not the junk that some pizza places put on their pizzas). The meat was prevalent, but again not overpowering and blended well with the burger meat. I even tried dipping it in ketchup which added a nice touch! I thoroughly enjoyed both Pizzaburgers but my favourite was the pepperoni & bacon one without a doubt! They both had a nice crispy crust which trapped in a very juicy beef patty. I was worried that the burger might get dried out and overcooked, but both components came out cooked just right! It is definitely something I will go back and order, but it is extremely filling so don’t attempt it on a full stomach! If you are unsure about trying one, I think the best way to give it a try is to split one with a friend, then order a side dish from their menu. This should be enough food for 2 people, and you won’t necessarily feel the need to hit up the gym immediately after finishing one. 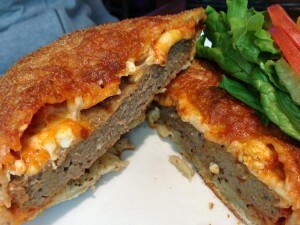 If you would like to try the Pizzaburger for yourself, I am also running a contest where I am giving away 2 $50 gift cards to readers of my blog to try it for themselves. It is super-easy to enter, so check out my contest here. 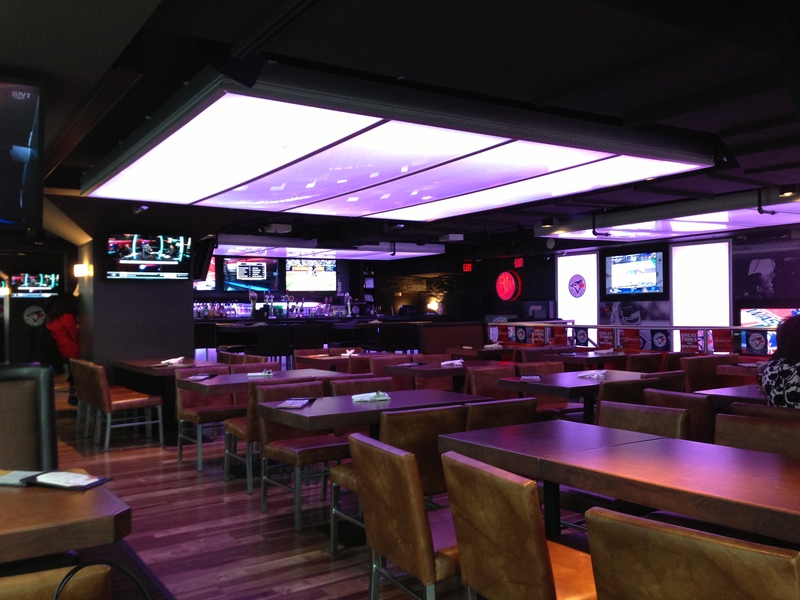 If you don’t win, you can head to any Boston Pizza for yourself and try right now! 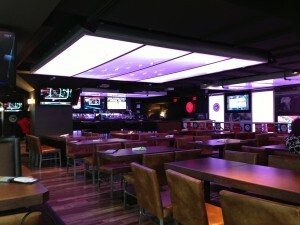 For more information about the Pizzaburger or Boston Pizza, check out their Facebook page or visit http://www.bostonpizza.com/. 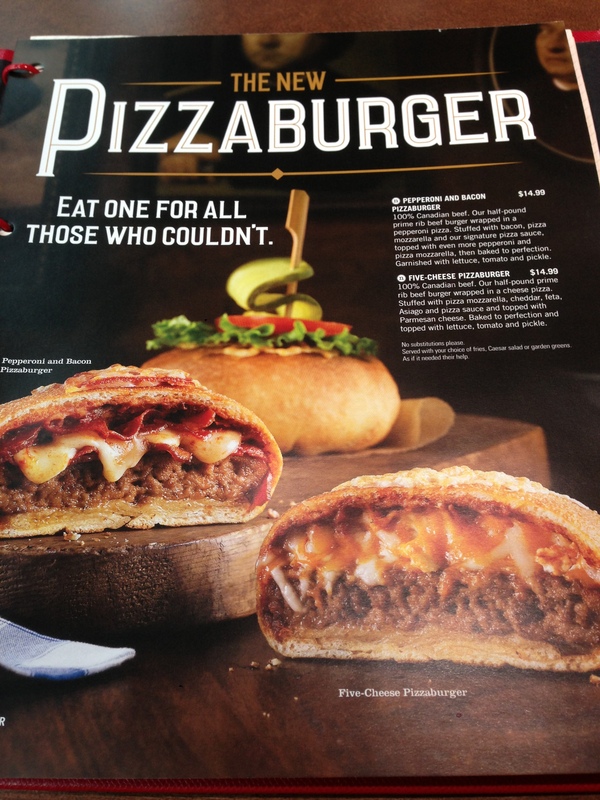 You can also follow them on Twitter at @bostonpizza and follow the conversation about the Pizzaburger using the #CouldItBe and #Pizzaburger hashtags. 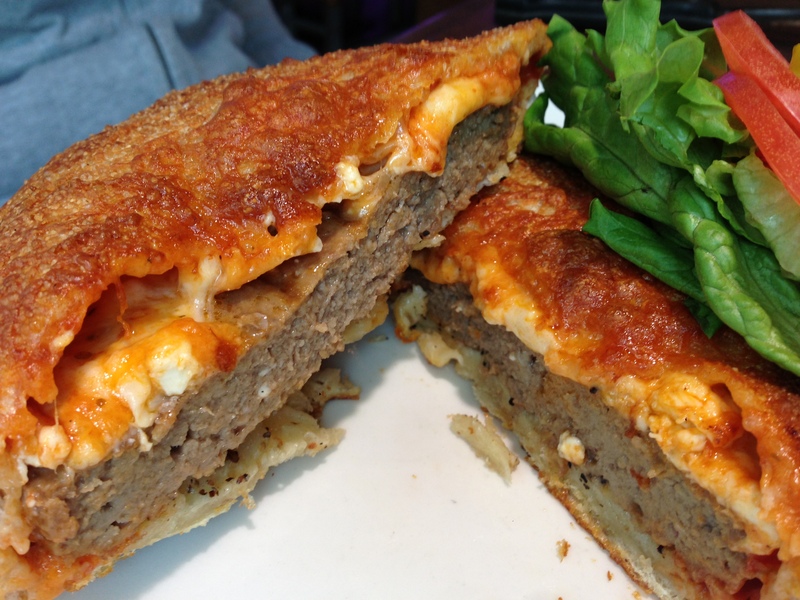 I am curious to hear what other people think of the Pizzaburger, so let me know your thoughts in the comment section below. Disclaimer: I have received compensation for this blog post, but all views in the post are my own. Tried the pepperoni bacon pizzaburger today. I was amazing. One the best burgers i have had in a long time. Will definatly return for this. I hope this one stays on the menu.